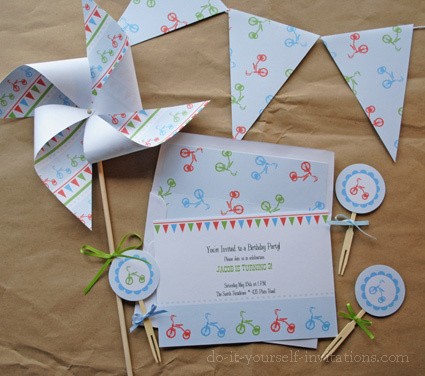 These tricycle birthday invitations are perfect for any children's birthday party with guests of the younger crowd. 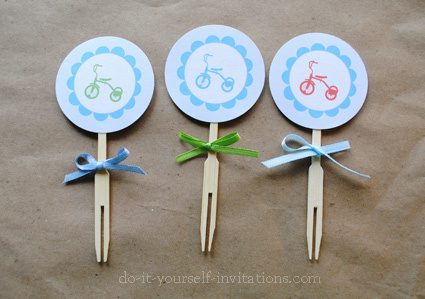 If they ride tricycles themselves and are still into things like Sesame street and Elmo, they are bound to love these invitations! I love the modern twist to a timeless children's toys. These invites give more of a contemporary feel with a childish and whimsical edge! 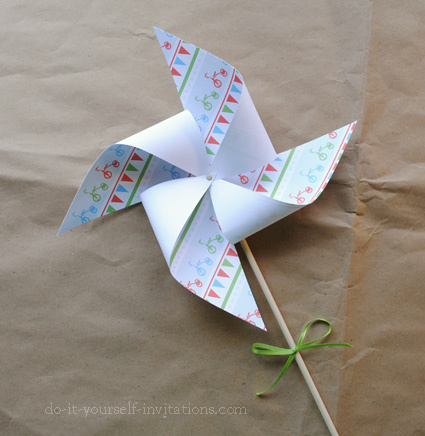 Our templates now come as a kit complte with a 5 by 7 invitation, an envelope liner sheet, cupcake toppers, and a DIY pinwheel. 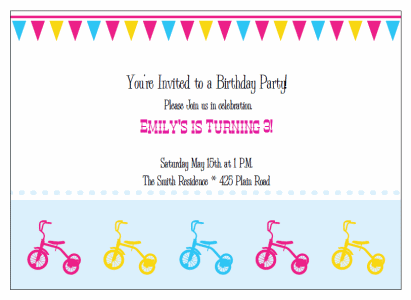 Using the printable invitation template is easy to do. Simply purchase and download the template, and save it to your computer. Open the interactive PDF file. Highlight the text you wish to change go to town. 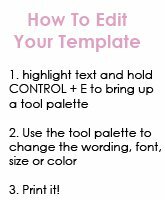 You can change the wording, font size and color, alignment and more. This invitation comes with it's own matching printable thank you not card, as well as the 5 x 7 invitation. The invitations are set up to print two invitations to a standard 8 1/2" by 11" sheet of paper. 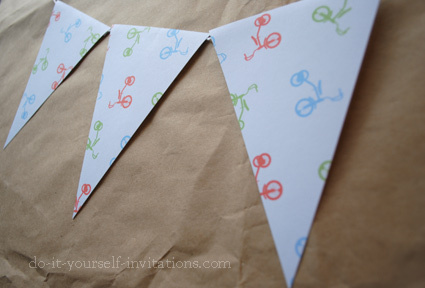 Handy cutting guidelines are included to help make trimming these invites to size a cinch. You can also print them out and hand em' over to the professionals (the clerk at the local copy shop) to trim them for you to save some time. 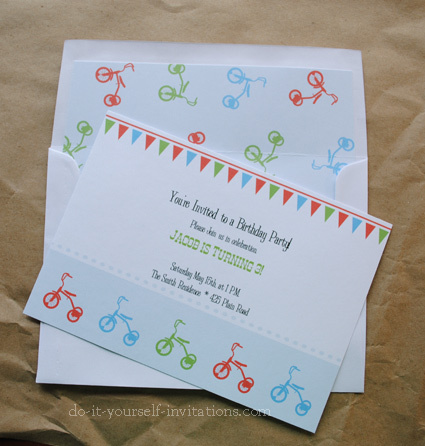 Most people like to print these invitation templates onto thick, sturdy cardstock, trim them to size and use them as is. 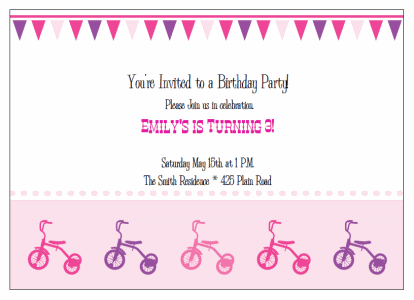 You can even choose to go a little bit further and create some fancy pants invitations. 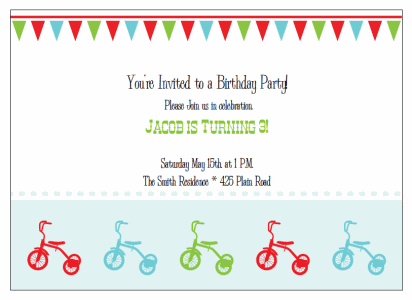 Attach the printed invitation to some coordinating decorative paper or colored cardstock. Use pocketfolds or pouchettes. You can even add glitter, rhinestones, ribbon, or charms! * If you're wondering where to get the great fonts I used within this printable invitation take a visit on over to the Fontdiner.com where you can find some really cool and funky fonts.